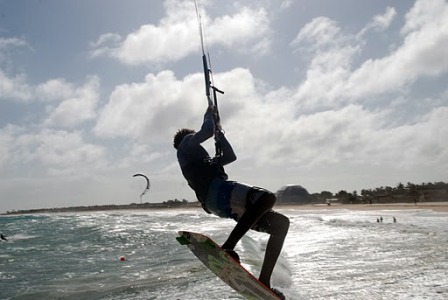 December 2011 and a great occasion for Sal Island as top kitesurfers from around the world come to Sal to compete, giving a number of local Cape Verdeans the chance to show what they could do. 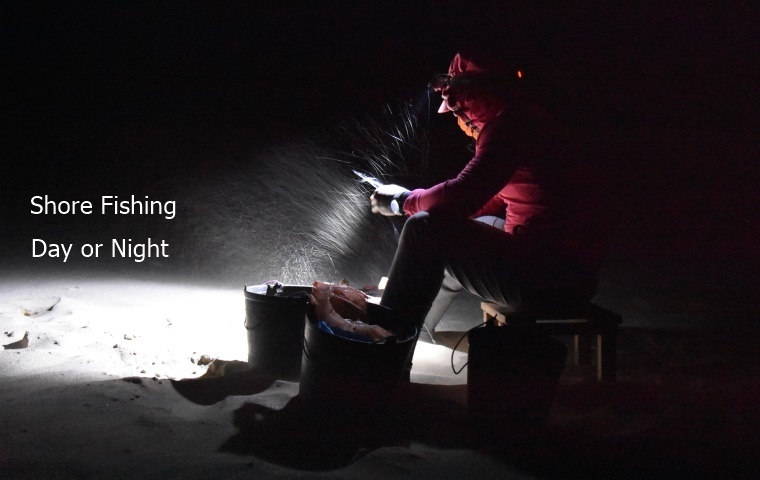 The weather conditions were not ideal so the event was cancelled after a few days. 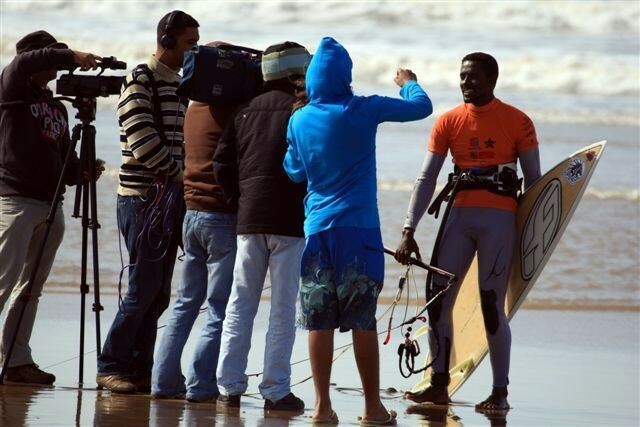 Mitu is following the PKRA world tour. 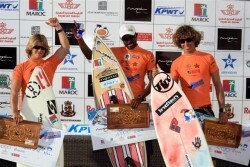 There are already 2 events completed...Morrocco (Essaouira) the first one, that he finished 2nd and the second one in Tenerife that he was 5th. So right now he is no.2 on the ranking. There is more one event in Australia (gold coast) in December but with the problem trying to get a visa for him (as the CV government has done nothing yet of what they promise him !!!) he is not sure that he can go there. 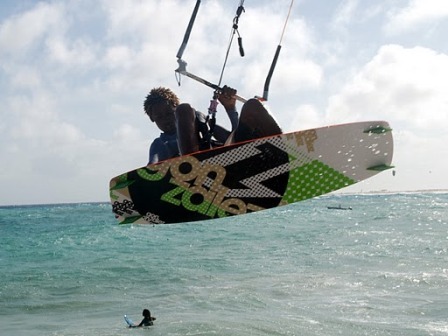 He is now in Italy to figure out of this purpose after a 3 weeks shooting/dealer new kite Bandit 4 collection presentation for F-one in Mauricius and will come back to CV end of this month. 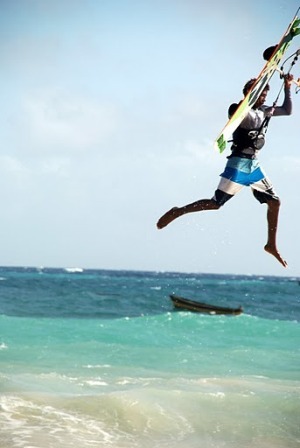 After winning the World Title for Waveriding in 2008, Mitu was promised a special visa. This special visa has not been provided, without it Mitu cannot attend the final event in Australia. He is unable to send his passport off as he needs it to travel. It is a very difficult situation which we need resolving! Photos below by Linda Aspden. 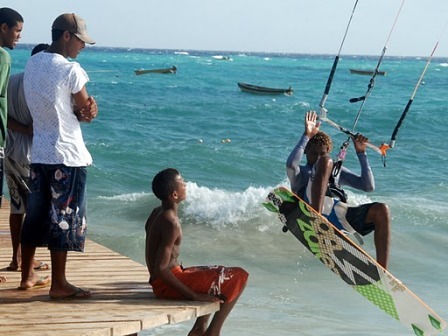 Taken September 2010 at Pontao, Santa Maria, Sal Island, sometime after the storm had passed by the islands. 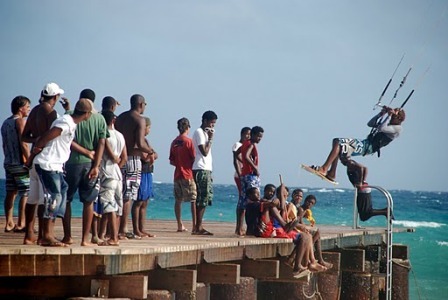 If you look closely, I hope you recognise this skinny kid hovering and flying over the pontao (pier), if you don't, I will give you a clue, he became the Freestyle Strapless World Champion in 2015.... yes, another talent from Santa Maria, Sal Island! 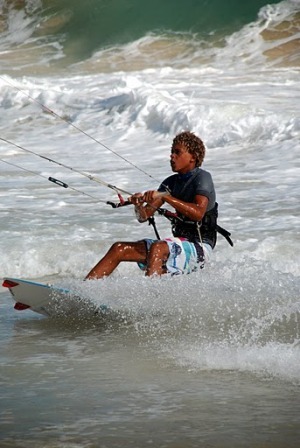 Mitu Monteiro – 2008 World Kite Boarding Champion. 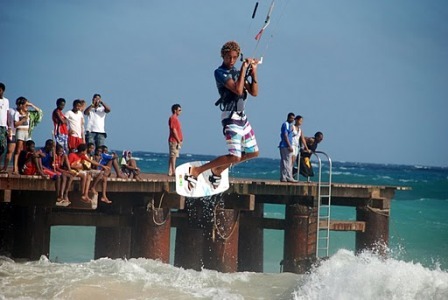 Mitu Monteiro a 25yr old from Sal Island, Cape Verde who participated in the full World Tour for the first time this year, won the World Kite Boarding Championship for the ‘Wave’ discipline. Mitu, who had competed in single competitions on previous occasions, participated in the tour and events held in France, Portugal, Brazil & Morocco. 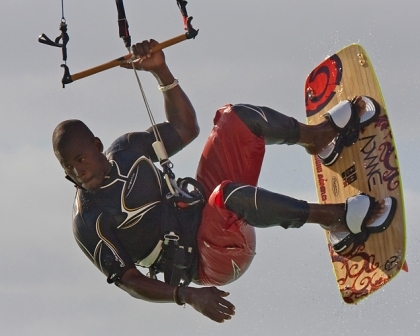 There are three disciplines: Freestyle, Course racing and Wave. 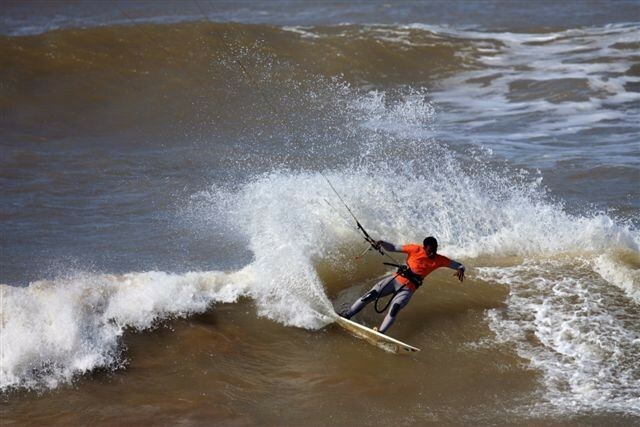 Over 100 competitors from various countries competed overall and over 50 entered the ‘wave’ discipline. 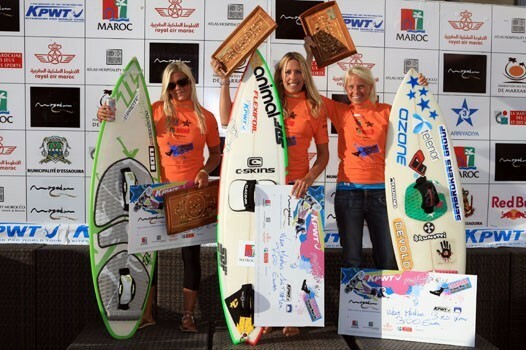 The result table also showed that Kirsty Jones from Wales won the womens Wave discipline. Photos of the Morocco event : All pictures from Carlos Delicado. 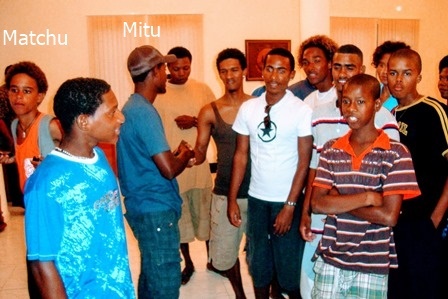 Photos taken of Mitu, the presentation and video footage. 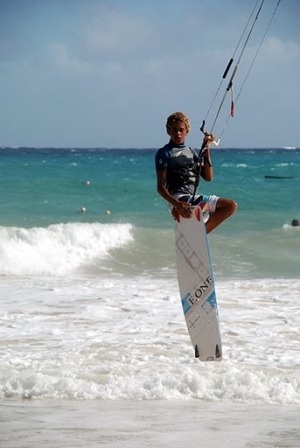 See if you can spot a very young teen and future World champion, Matchu Lopes, one of many budding kitesurfers at the ceremony that came to cheer and congratulate: MITU MONTEIRO - PRESENTAION - 2008.